Have you been wondering about how to make money from eBay? Or even if it’s really possible. Well, I’m here to tell you, it’s possible and I’ve done it myself. Come on in and see. I understand why you’re skeptical of the idea that people can make thousands of dollars a month selling old stuff.But I guess it’s that old adage that someone’s junk is another person’s treasure. Or it just might be people are always looking for bargains and eBay is one of the places you’ll find some of the best bargains around. I know that’s true. As a buyer. And I’ve seen firsthand as a seller. Here on Work In Mam, I’ve written about my adventures selling magazines on eBay and kids clothes. And I sold lots of other stuff too. 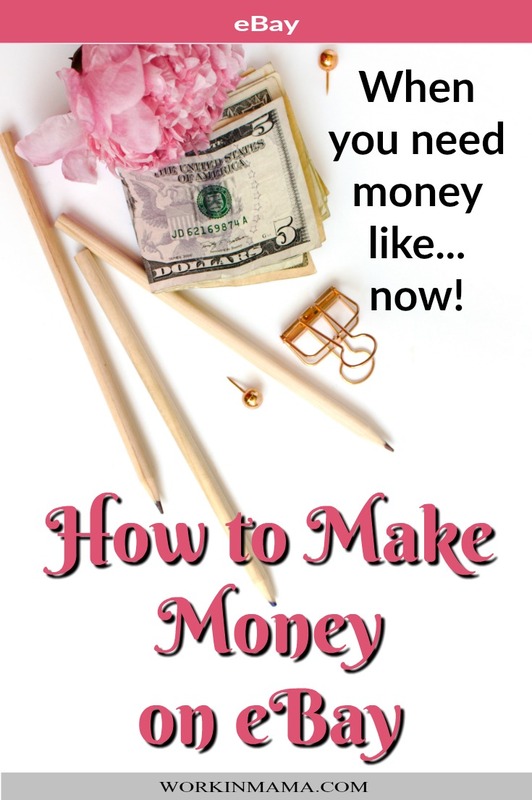 For me, it’s always been one of the fastest ways of making money from home and online. Like many other people, my journey with eBay started as a buyer. I registered, browsed and bought. When I decided to sell, I didn’t even have to register a new account. I just used my existing account. If you’re not already registered with eBay, it’s easy enough to do. Then start browsing what’s available for sale. And start looking at the sellers. It’s the best way to get an idea of what works and what’s successful. What are they selling? Is it in a broad niche (if a niche at all) or is it very narrow? And how do they present their product with photographs and descriptions? You can see what they actually sold by going to the left navigation bar and scrolling to the bottom where you find the “completed listing” and “sold listings.” Check both of those to continue your search. One of my favorite sellers on eBay is My Sweet American Dressing. Corinne sells mainly women’s clothing. And mostly tops at that. And she sells a lot. She’s one of the top sellers in that area. But as you’ll notice, she has a terrific style. Yes, she models most of her clothes, but here photos (and lots of them) are top notch, along with is listing description. Another seller who has a great style is Andrew at A-Z Emporium Online. He specializes in men’s clothing and he does not model his own clothes. But his photos, descriptions and overall seller performance are very professional. There are many other sellers, in a variety of categories, who are just as successful (or even more so) than these two I’ve show you. Look around eBay and find the seller, in categories you would like to be in, and learn from them. eBay is not exclusively an auction site. Buyers put their wares up either for auction or with the But It Now option. And even with that option, a seller can decide to accept other offers. The best part of selling online with eBay is that’s it’s inexpensive to get started. My suggestion is always to start with what you have at home but are not using. Right now, without having bought any inventory, you probably have 10 to 20 items that you no longer use and need to get rid of. Maybe it’s a piece of electronics. Some old clothes that don’t fit but are still in good condition or an odds and end dishes that might complete someone else’s set. When you run out of items to sell from around the house, then start looking at yard sales, thrift shops or even wholesale houses and even other auctions. You can sell both new and used items. You’ll probably want to niche market for something you’re interested in, such as certain types of clothing, vintage dishes or toys. Remember, the more specialized you become the more you’re perceived as an expert. The best way to start is, well… by starting. Make sure you research similar sold products to make sure your pricing is right. If it doesn’t sell, just try something else. Ultimately, if you continue to sell on eBay, hard work and getting good feedback should be your goals. Those go a long way to selling success. eBay encourages buyers to rate your service, so, along with great photos and descriptions, make sure you ship your sold products promptly. Oh, and a note about descriptions. Be honest. Even when there are flaws in the product, say and show it. eBay is a great way to earn a little extra money fast. But it’s an even better way to earn a consistent–and good–income from home. But if you’re still a little fuzzy about how to make it work, then it may be time to get yourself educated. I’ve found someplace that can help with that. SkillShare.com. It’s an online learning community and it has some well-rated Bay courses. 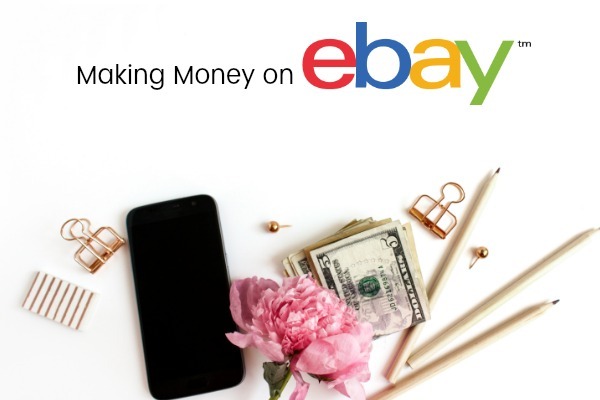 The only fee (not much) not only covers the eBay classes, but you can learn much more. Like…some photography tips for the pics you’ll be taking for eBay, or a writing course to help you really sell those descriptions.. And then there are classes on marketing and social media (you want to take this eBay selling to the max, right?). And then when business is done, there’s lots and lots of cooking, crafting or any of 1,800 other courses. If you’re looking to make a real income from home, then online selling is one way that really works. I know from experience that you can make money on eBay. And you can also start small and scale it up until you find the place you need to be. Writing has been a passion and career of Kate's for many years, starting in children's entertainment. 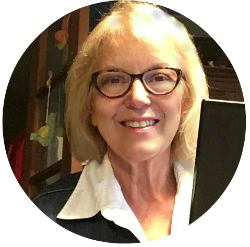 She moved from cartoon writer to nonfiction book author, and from writing just for kids to providing lifestyle, general interest and career content to adults.